Where can we find silence? It can always be found in the pauses between the notes of life. Why is it important to engage in it from time to time? Because it is the one place where we can become conscious of our soul’s calling. It is in the moments when we are quiet that we can connect with our inner knowing and truth. Anytime life gets too hectic and we feel overwhelmed, silence is the best remedy. The question always arises as to how we can quiet our minds and our beings when everything around us takes us away from silence. The one challenge that arises when one moves into a silent space, is the loneliness that is sometimes associated with it. It can be quite unnerving to be still and not have anything to distract us or grab our attention. We live in a time of sensory overload – from texts, emails, twitter, and Facebook notifications to smart phones and other means of social media that keeps us plugged into the mainstream consciousness 24/7. Isn’t it amazing how in a matter of ten years we have become so dependent on electronic devices? Many people literally do not know what to do if they can’t check their cell phones or emails. How did that all this happen? In order to gain a bigger perspective of your life, it is vital to take a step back and reflect. One way to achieve this is to create the space and time to be in silence. Scheduling “down time,” even for ten minutes a day will prove beneficial over time, because you are prioritizing “YOU.” Take advantage of this silent time to listen to the calling of your soul. Have a note pad handy to jot down short insights from this silent time, or take some time to journal longer entries on anything that comes to mind. 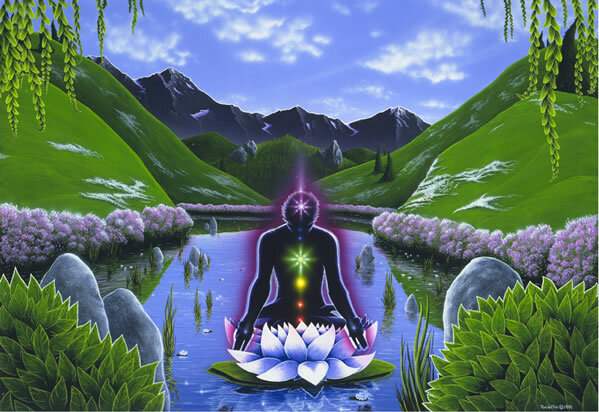 Connecting with your soul or higher self is best achieved in moments of inspiration and during moments of silence. Learn to quiet your mind by taking baby steps. It does not happen instantly, but with practice it can happen. A few ways to quiet the mind is to focus on the rhythm of your breathing and/or on the beat of your heart. Another way is to allow the mind to create thoughts and let the thoughts flow together until they become white noise. As well, during this time, work towards becoming attuned to any emotions that arise and also pay attention to any bodily sensations and your breathing.